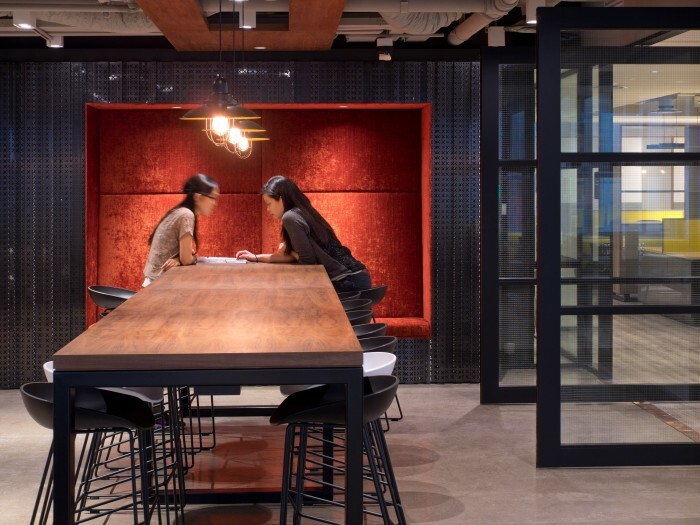 Marriott International APAC’s continental headquarters checked into a new office with a refreshing workplace design in Tai Koo Shing in Hong Kong in 2015. 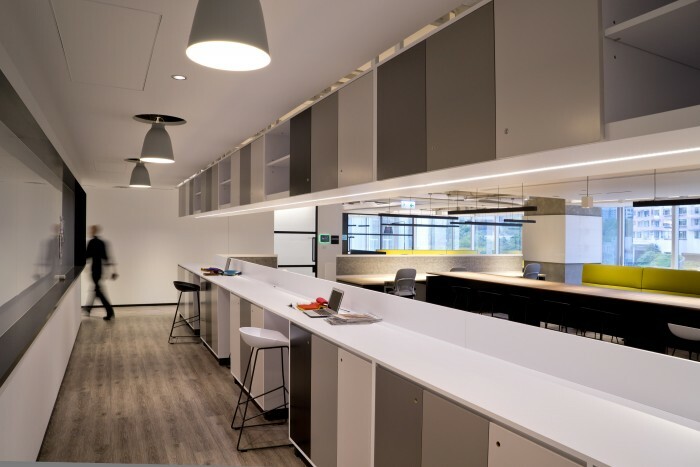 The company was keen to provide a functional and flexible workspace to support the way people work today and in years to come, while also promoting wellbeing and the key concepts of boosting collaboration, flexibility and innovation. During the design process, Marriott took a unique approach. Aware that today’s workspaces need to be shared across multiple generations of people, the company was eager to take the different needs of different groups into consideration. To that end, a survey was conducted among all associates to find out more about how they work and what requirements they have for their workplace. “We involved associates in the redesign as part of our TakeCare programme that focuses on associate wellbeing and happiness,” said Regan Taikitsadaporn, chief human resources officer for Asia Pacific at Marriott International. “The programme helps associates live their best life, with a focus on the body, mind and spirit, while building a healthy and secure future, and having a great workspace is integral to these goals. For Marriott, an office design reflects a company’s overall image, culture and branding, and first impressions count. With that in mind, the spacious reception area has been redesigned to be more welcoming to visitors and associates alike, and the openness of the design allows for greater collaboration and interaction among different departments. Marriott’s public space social zone is named The Hub. “We want it to be a desirable place to be so there’s energy and a buzz about the space. 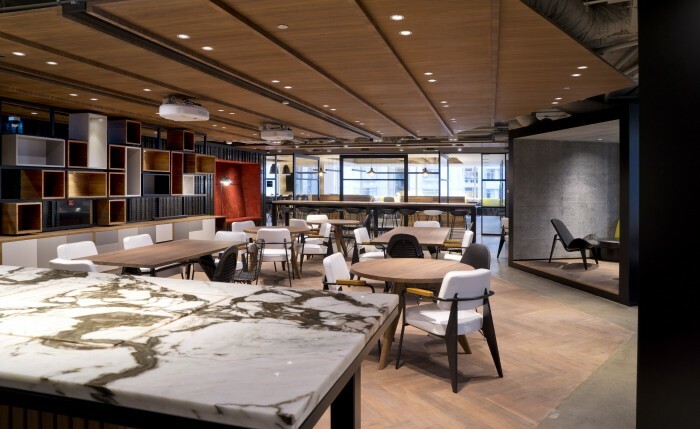 We use a blend of different styles of furniture to create flexibility and reduce uniformity,” said Bart Buiring, chief operations services officer for Asia Pacific at Marriott International and the design leader of the new office. The new office uses space efficiently. Some offices have been combined while other areas benefit from open space. By tearing down physical barriers, the company hopes to spark creativity and innovation. However, there are also plenty of private spaces available, where people can have a quiet conversation or concentrate on highly focused work. 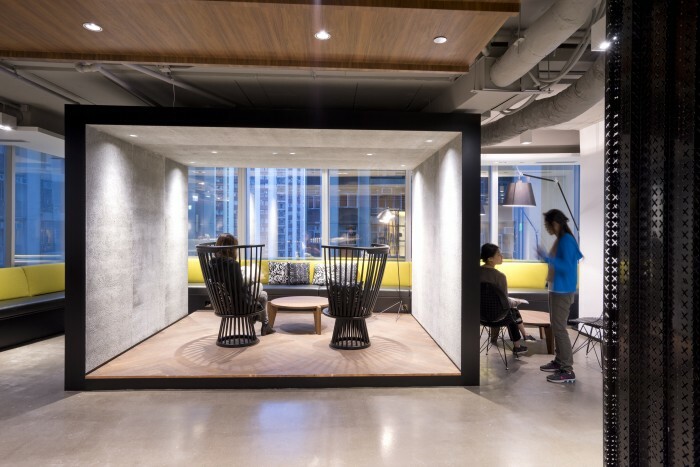 Another new feature is the many different types of breakout spaces available, such as single-person phone booths, medium-sized huddle rooms and big conference rooms. Customisation is also key and associates can choose standing or seated desks to boost productivity at work. Marriott provides different types of rooms for fulfilling different needs – from small meeting rooms for group discussions and brainstorming, quiet offices for individual focus time to telephone booths for phone conferences. 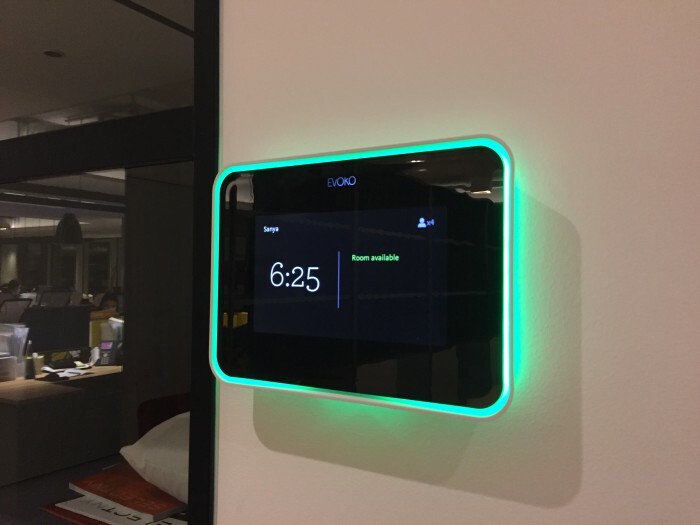 Making use of the latest office technology, associates can check the availability and make reservations easily through Outlook or smart touch-screen solutions such as the Evoko Room Manager. 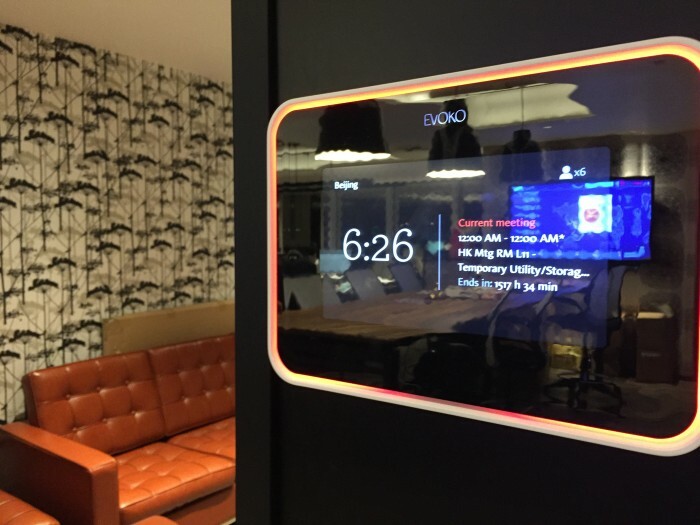 Placed outside the meeting rooms, the room manager promotes efficiency by allowing associates to book conference rooms instantly on an easy to use screen right then and there. A library, which will be completed in Q1 2017, will give an enclosed focus space that can also offer a location for associates to work quietly in. The space features soft seating, a library table, and indoor greenhouse arrangements. Additionally, it offers a space for visitors to work and is linked through to a meeting room to offer the most flexible set up. 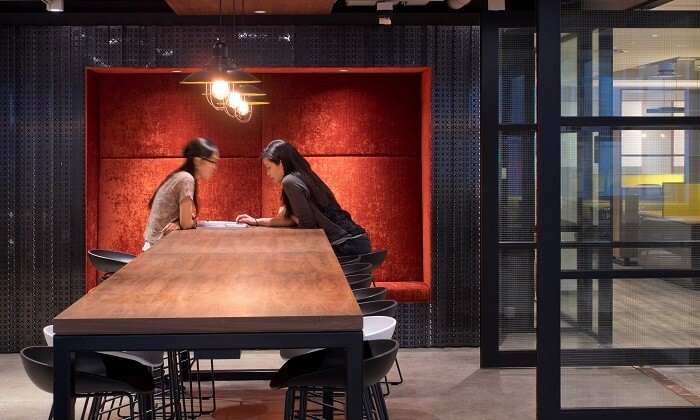 Marriott’s APAC headquarters in Hong Kong showcases the company’s commitment to providing a flexible work environment that facilitates how different functions conduct their work. Like many of the best offices today, it’s a hybrid which incorporates a range of spaces that associates can move between throughout the day. “Flexibility is the key. We wanted to configure the space so that associates can move to the right type of environment for whatever task they happen to be working on,” Buiring said. One way Maybank is doing so is to equip employees with digital skillsets that will help them adapt faster and easier, shares Nora ..
With the new law restricting practices like wage-fixing, how can Hong Kong's HR leaders ensure their processes continue smoothly? .. Along with the upcoming leadership announcement, a talent assessment is underway to identify 14,000 staff for the new MAS. .. Following the fatal accident that killed three workers, Datuk Azhar Abdul Hamid said he will be submitting his resignation letter ..